In two more days, Dolls Behaving Badly releases to the world. I’m scared, and excited, to the point of tears. I hope everyone loves my characters as much as I do. I hope they love my book. I hope they read it in the bathtub and while they’re eating. I want my book to be used, and being used means being messed up and worn out, like the Velveteen Rabbit. I want my book to be loved like the Velveteen Rabbit. Of course, there are people who won’t like my book, might even hate it. I understand this. I worked as a journalist for thirteen years, after all. I know how touchy people can be about the written word. In two more days my book releases. Actually, it’s already released in parts of the country. 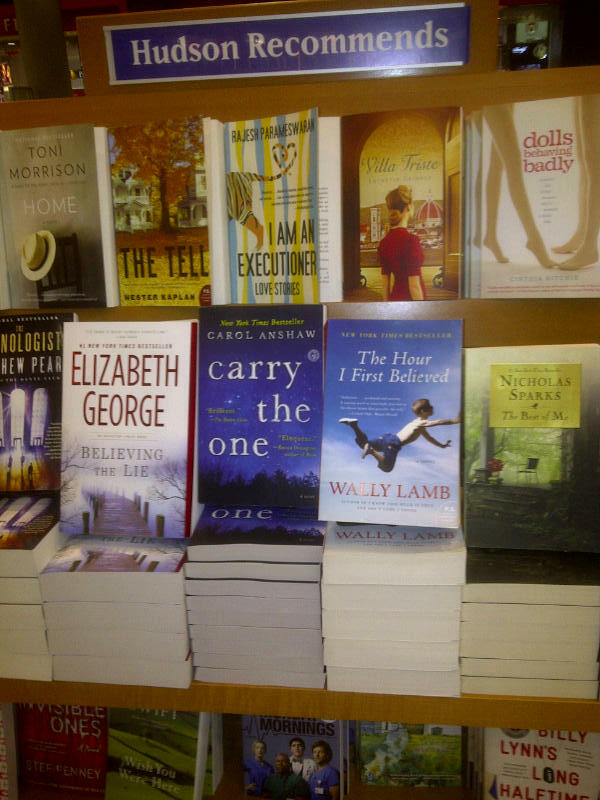 Someone spotted it in the Newark airport, under the Recommended Reads section. Dolls Behaving Badly is flying! It’s traveling around the country! I hope it ends up somewhere warm, on a beach or by a swimming pool. Maybe someone will spill one of those frothy cocktails on it. I like the idea of my book in the sand, damp from a tropical drink. I wish I could be doing the same but alas, I have a second book to write. Happy writing, reading and living, everyone.